So far as we know. Rudolf Steiner gave indications for form drawing on three occasions. Each time he presented new elements out of which with some imagination one could build a structure of teaching material for the first five elementary grades - to the moment when the actual teaching of geometry begins. His indications illuminate entirely different aspects of form drawing, but these do not exclude one another. One should study them together, then one realizes that they do supplement one another. 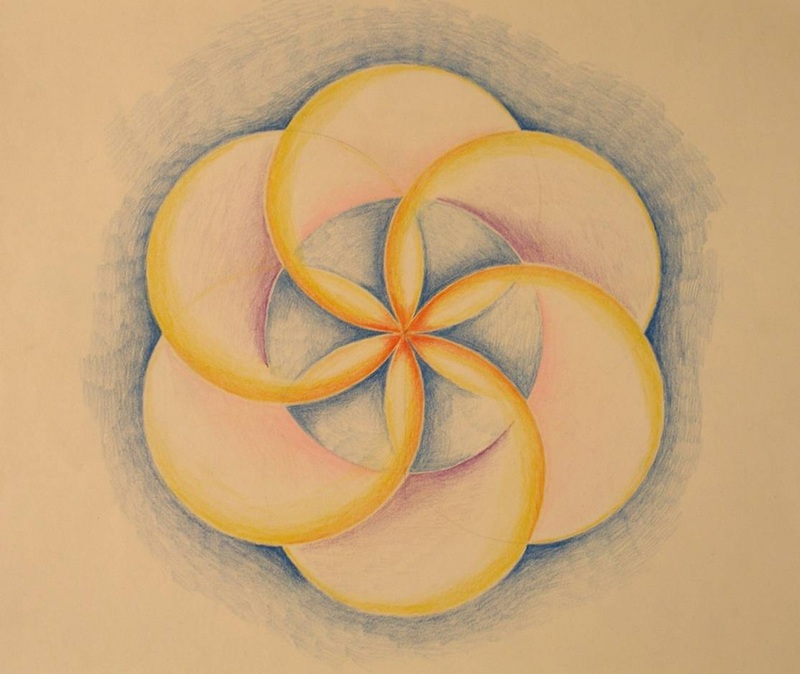 Rudolf Steiner gave the first elements of form drawing in 1919 in Stuttgart in his basic courses for teachers he spoke for the first time about form drawing and described it as a means of educating the temperaments. With the participants. who were to be the teachers of the first Waldorf School. he worked out forms and colors for the various temperaments and led each of these over into its opposite. 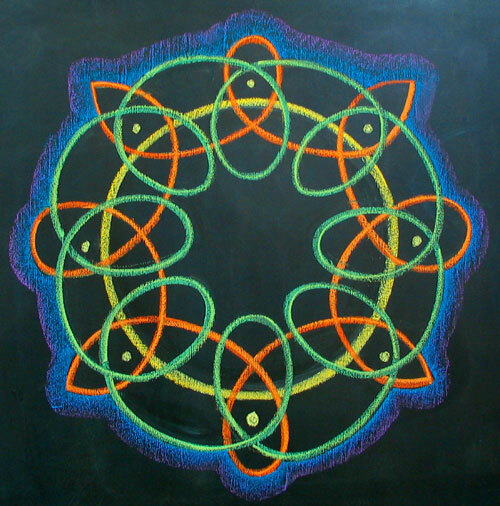 Rudolf Steiner suggests that on the very first day of school the teacher should have the children do certain color exercises, also have them draw a straight line and a curved line on the blackboard. He stresses the value, the pedagogical importance, of this exercise. This simple line drawing and its repetition the next day make a lasting impression upon the children. From the point of view of form drawing it is noteworthy that Rudolf Steiner lays out at once from the very beginning, for the children to create and experience, the two polaric principles of form: the straight, radiating line and the curved line, the first as an expression of thinking, the second as an expression of the will, seen from the point of view of the soul. This feeling for forms, their curves, their straightness, their rhythms and movements, is the new artistic experience which Rudolf Steiner wanted to awaken. This sense for forms is the kernel of a new artistic experience: it is also the organ for a more lively understanding of nature forms. Thus one can realize the far-reaching importance of form drawing. 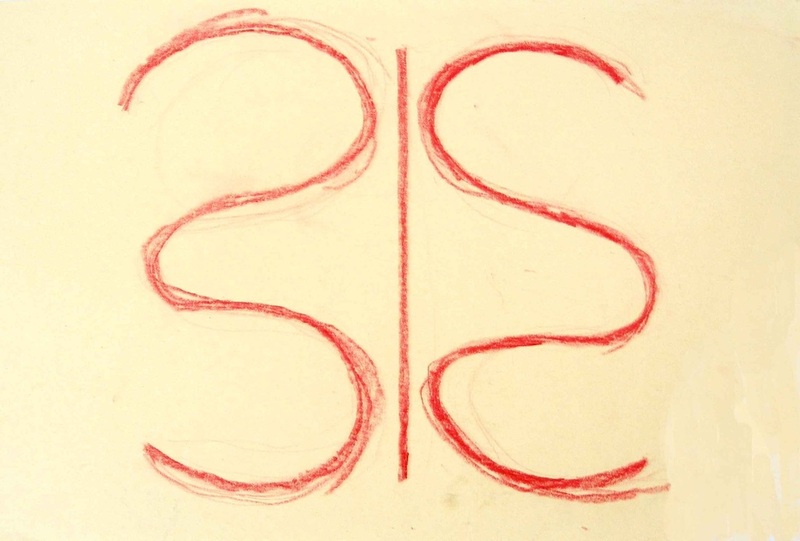 Before doing the actual drawing of the forms on paper, practice the forms by walking the form meaning for instance walking an imagined figure "S" on the ground. Secondly draw the form with the left then right hand in the air several times, and finally trace the imagined form with your finger on the drawing pad several times. Now after having completed the practice of walking and drawing the imaginary form, you draw the form using the colored beeswax crayons on the drawing paper in one movement without stopping or taking the crayon off the paper. Repeat the drawing of the form several times going over the previously drawn line or form. 1. Set up your form drawing journal, ideally several large format painting paper pads size 18" x 24" or larger. 2. Practice drawing free hand forms using the paper pads and colored beeswax crayons for a minimum of 12 days creating 5 form drawings each day. Use the form drawing examples provided below. Start with using one color only for the first few days, then use several colors. 3. Take pictures of one of the drawings from each day and submit.